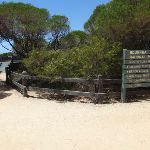 Continue straight: From the intersection, the walk follows the ‘Beach Access Stairs’ sign to the corner of the car park that has no picnic table. 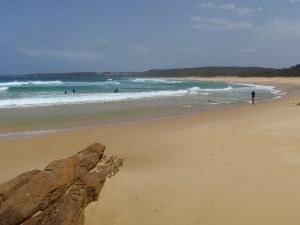 From here, the track leads through the heath, winding down the hill onto North Tura Beach. 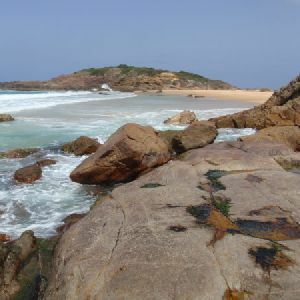 Turn left: From here, this walk heads along the beach towards Bournda Island, keeping the water to the right. 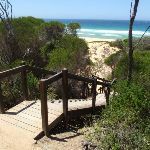 The walk soon comes to a staircase on the left. 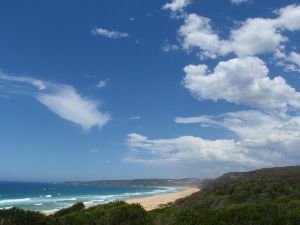 (0.34km) Nth Tura Beach → Nth Tura Lookout int. 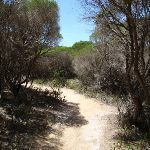 Turn left: From the beach, this walk heads towards the hill with the stairs visible, and away from the ocean. 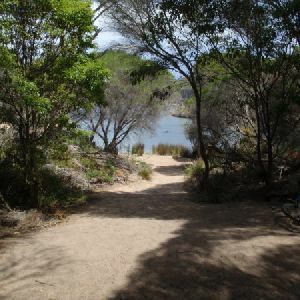 The walk then heads up through the gap in the heath to lead to the top of the stairs. 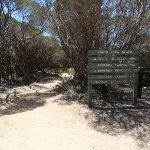 Turn left : From the intersection, this walk leaves the beach and stairs behind on the left, as the track winds up the hill for a short time to the car park. 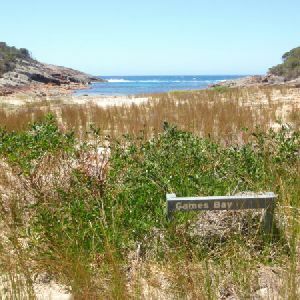 to come to an intersection beside the car park marked with a timber ‘North Tura Beach’ sign. 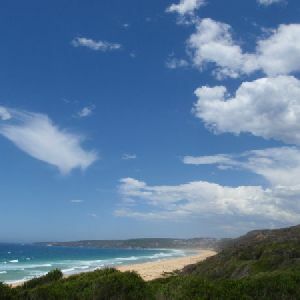 Around 250m of this walk is flat with no steps, whilst the remaining 220m has short steep hills. 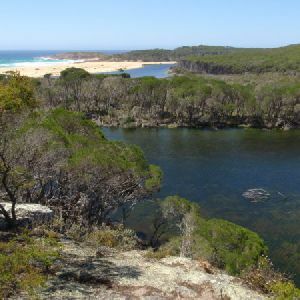 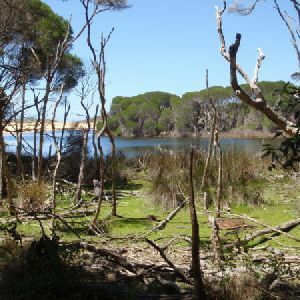 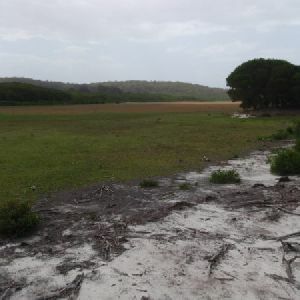 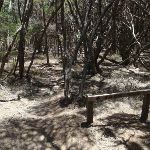 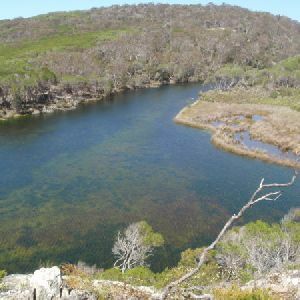 Around 440m of this walk follows a formed track, with some branches and other obstacles, whilst the remaining 30m follows a clear and well formed track or trail. 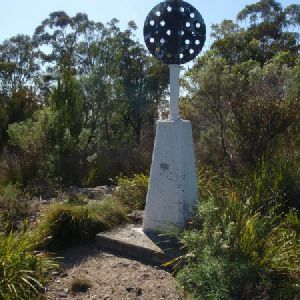 Around 440m of this walk has directional signs at most intersection, whilst the remaining 30m is clearly signposted. 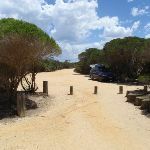 Around 410m of this walk has limited facilities (such as not all cliffs fenced), whilst the remaining 65m is close to useful facilities (such as fenced cliffs and seats). 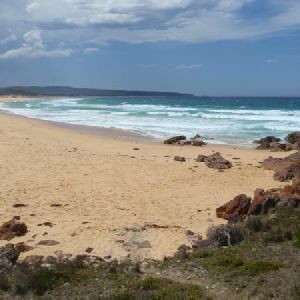 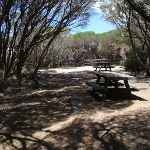 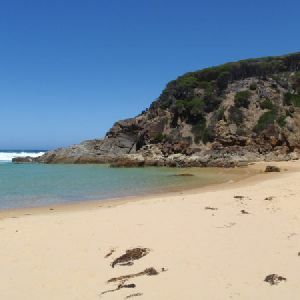 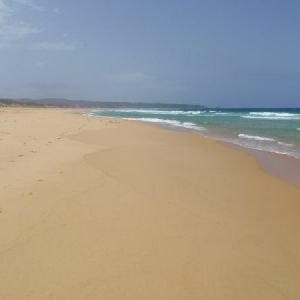 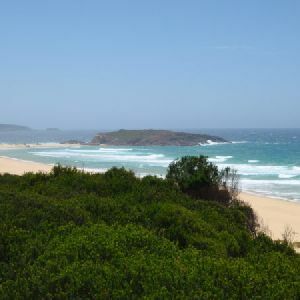 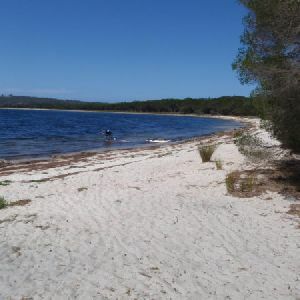 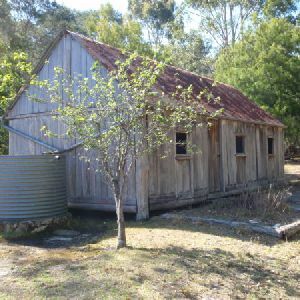 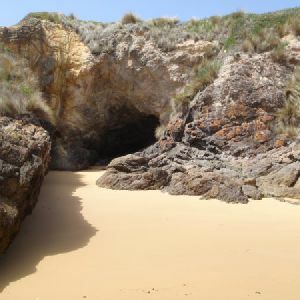 A list of walks that share part of the track with the North Tura Beach loop walk. 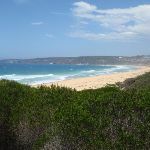 A list of walks that start near the North Tura Beach loop walk. 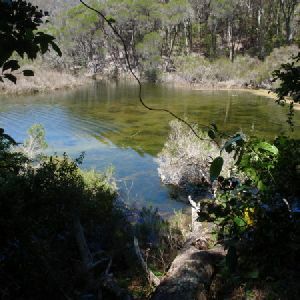 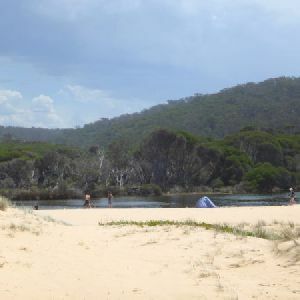 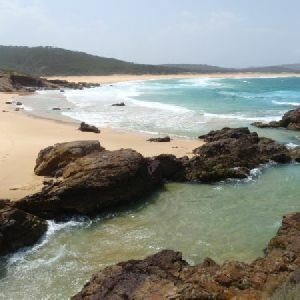 http://new.wildwalks.com/wildwalks_custom/includes/walk_fire_danger.php?walkid=nsw-bourndnp-ntbl Each park may have its own fire ban, this rating is only valid for today and is based on information from the RFS Please check the RFS Website for more information.